Nmap is a free and open source utility used by millions of people for network discovery, administration, and security auditing. 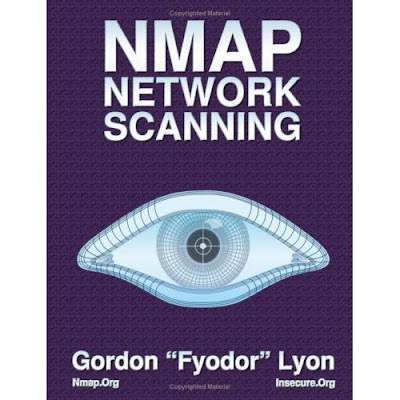 Its original author, Gordon “Fyodor” Lyon, wrote "Nmap Network Scanning: The Official Nmap Project Guide to Network Discovery and Security Scanning" to share everything he has learned about network scanning during more than a decade of Nmap development. The official publication date is January 1, 2009, though Amazon is already selling it. “Host Discovery (Ping Scanning)”, and more. The solution selections which provide detailed instructions on the best way to solve common networking tasks are also exclusive to the printed book. Thanks Julien. I hope you enjoy the book! Hey Fyodor, quite an honor to see you here :) And yes, I'm sure I will enjoy the book.